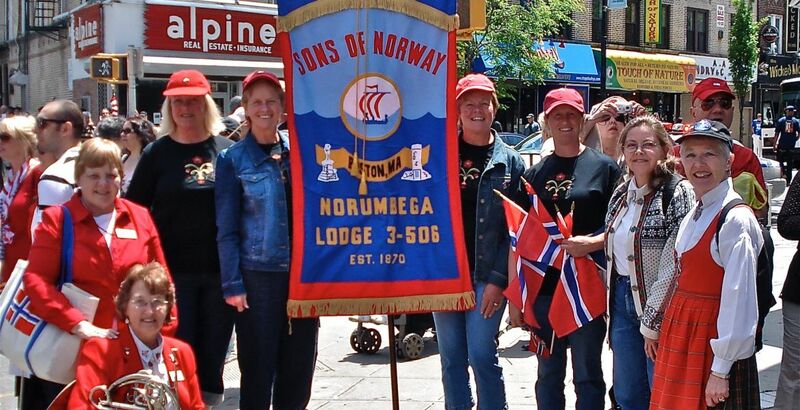 Each year, members and guests of Norumbega Lodge travel by van to Brooklyn, NY for the 17.mai parade held there. It is said to be the largest parade outside of Norway in celebration of Norway-s Constitution Day. Some go to march and others simply take in the festivities. It is an all day event that includes a group dinner at a restaurant along our return route. We can take up to 15 people in the very comfortable van with pickup points at the Riverside T-Station (Green line stop along Route 128) and TF Green airport in Providence, RI. Other stops may be possible with prior notice. Advanced signup is a must.